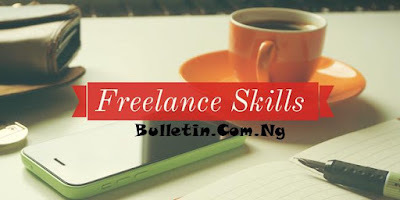 Ever wondered what the most in-demand freelancer skills are on the market? They’re constantly changing and evolving, but some have been constant presences throughout the years as outsourcing has become more and more commonplace. High demand and low supply leads to nice compensation, so if you’ve got these skills and are considering diving into the freelance world, you’re likely to find some nice-paying work. This technical skill is on top of all the lists right now, and for good reason: With rising popularity of voice-activated speakers like Amazon Echo, Google Home, and now Apple’s HomePod, tech giants are scrambling to find freelancers who can help polish existing functions as well as develop new ones to keep consumers engaged. While marketing freelancers are always in demand, right now companies are in need of those who are social-savvy. Every brand is expected to have a social media presence, and so many companies lag behind in being able to connect with their audience via Instagram, Snapchat, Facebook, Twitter, and localized social media channels (such as VK in Russia or Naver in Korea). If you’re on top of the latest social strategies, there are opportunities abound for you. The design field is on fire in recent years, with many sub-niches such as website design, UX/UI design, product design, brand design, and many others. Designers with skills in creating websites, logos, and brochures will never lack for work. But look, too, for new design niches, like 3D, and work on gaining experience in them. In the marketing world, content is king. Brands need to continually publish informative blog posts, eBooks, whitepapers, and more, and often don’t have in-house talent to handle the workload. Gaining experience writing in one particular field will open even more opportunities in that industry for you. If you’re tech-savvy, there will never be a shortage of opportunities in programming. As new programming languages come on the scene, companies are desperate for freelancers who know how to use them. Right now, MySQL, PHP, R, and Swift are the hot languages companies are hiring freelancers to help with. While some industries rely on freelancers knowing the latest trends, others like accounting simply require solid skills and experience. It helps if you’re well-versed in the most popular accounting software platforms like QuickBooks, Freshbooks, and Sage, and can advise your clients on tax strategy. Freelance accountants see a significant surge in business during US tax season, but can often find a steady stream of work year-round. We live in a world where people want to learn how to help themselves, and the boom of the coaching industry proves that this is a model that works. Life coaching is a $1 billion industry, and business coaching an $11 billion one. If you have the skills to quickly see a problem and come up with solutions for it, this could be a lucrative field for you. Having a coaching certification under your belt will make you even more desirable to potential clients. Speaking another language can pay off if you are trained as a professional translator. Industries like business, medical, and legal have high demand for translators, especially those who can translate Chinese, Spanish, or Arabic. Focusing on one industry can help you make a name for yourself as a freelance translator. Many companies are moving away from having full-time secretaries and administrative assistants in favor of hiring freelancers, often who work remotely. If you are highly organized and have experience managing schedules, making travel arrangements, and overseeing staff, there is plenty of opportunity for you in this field. Another field where freelancers are thriving is in customer service. Whether you connect with customers through the phone, chat, email, or social media, you can provide a much-needed service for companies who don’t want to hire customer service staff internally. All you need is a sunny disposition and a bit of technical knowhow to use the software. User experience is a crucial part of every product or website. Having a website that is easy and enjoyable for customers to use can be the single factor that helps a company succeed. With 19% job growth in the last 10 years, the UX field is increasing in demand for freelancers as requirements, as well as consumer taste, for websites evolves. There may be an app for everything under the sun, but there wouldn’t be without a legion of app developing freelancers. Being well-versed in all phone operating systems makes you diverse and highly hireable. Also, being familiar with developing APIs for tools like ZenDesk or Salesforce will make you even more appealing. Just make sure to stay on top of the latest development tools and news so that you beat out the competition. Got a great voice? Put it to good use as a voiceover artist. You’d be surprised how many opportunities there are, for video game voices, audiobook readings, e-learning instruction, and more. Being able to work from your home studio makes it the perfect freelancing gig. The more specific your niche, the more business you will get. It seems counterintuitive to only focus on a particular industry or skillset, but you’ll quickly beef up your experience, which will make you all the more appealing to potential clients. Being known as the go-to freelancer in your industry means more referrals and more business. 0 Response to "2017 Top 13 High-Demand Freelancer Skills In Today’s Market"